You may have noticed things a little light on the training session updates this week. And if you’re particularly astute you may also have noticed that until yesterday the posts here have been a little shorter than ususal. Sadly, these two things are not entirely unrelated. In a spectacular display of clutziness I managed to slam my finger in a door. It’s had an impact on my ability to swim and my ability to type. I did manage a little swim on my own yesterday to see how I went so I’m a bit excited to be heading back to the beach tonight. Plus it’s stinking hot here and apparently we’re in for a bona fide heat wave this weekend. Where else would you want to be but the beach? Why do we time trial? Can Too – Pool Session Week 4. Wow, the weeks are sneaking up on us now! Seems we are already at the dreaded time trial week! Well, the thing is, they were exactly right. The time trials are absolutely not about proving anything. What they are, however, is a useful tool. In this level of swimming, there are a couple of things we get out of running a time trial. Benchmarking. It feels tough now, but when you do your next time trial and see how far you’ve come, it’s a real confidence boost and helps people really believe that they are going to manage their swimming goals and goal races. Lane ranking. Lane etiquette is hard enough to figure out without people having to guess what order they should swim in. A a general rule, in a pool lane (unless it’s for a specific drill or set that calls for something different) the fastest swimmer leads off. It minimizes overtaking (always fraught with danger!) and seems to work using a kind of telescoping effect. A time trial gives people a realistic idea of the order they should be swimming, as most people tend to underestimate their abilities….apart from the odd macho man who has issues swimming behind faster women…but that’s a controversial topic I should probably explore later. Luckily I didn’t see any of those shenanigans on Wednesday. Pacing, pacing, pacing. Ideally, we tend to swim faster if we start out slower than average, swim at our average page most of the race (or training set, or time trial) and then finish hard with whatever energy you didn’t burn up by going too hard at the start to maintain. In order to do that, you kind of need to know what your pace is and what it feels like. A time trial lets you work out what you should be doing, and if you’re doing them regularly when you should increase your pace. At 4SEASons we use time trials to figure out a 100m pace for drills and sets ALL. THE. TIME. Building up distance, and fitness overall. 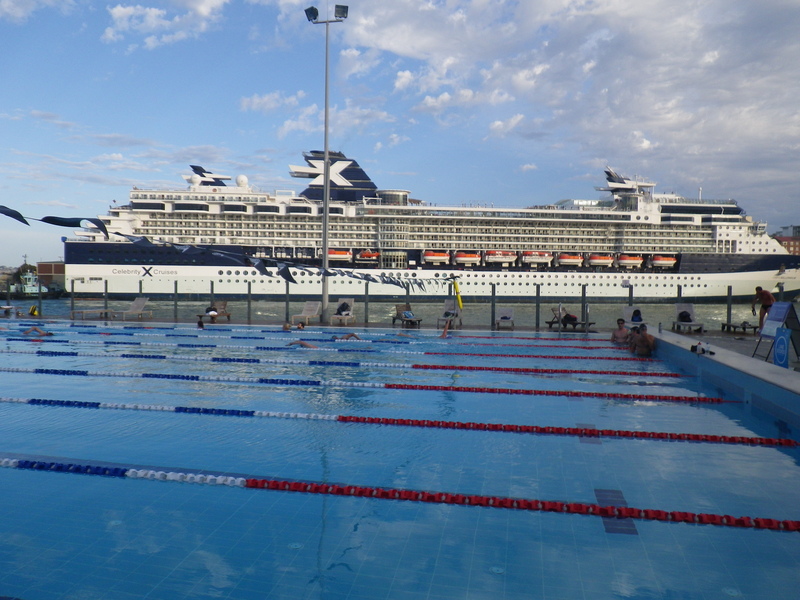 We did a 500m trial for the shorter distance swimmers, and 1km for the longer distances. That’s not a bad effort for anyone! Building up a swimmer’s confidence in being able to swim that distance. For some people on Wednesday, they had not swum that distance in years. Or ever. I know I’m talking about confidence again, but ocean swimming (like many sports, I imagine) is very much psychological, and confidence is a big part of it. So look at that, will you? 5 excellent reasons for doing a time trial…and not one of them really scary after all! Finally! 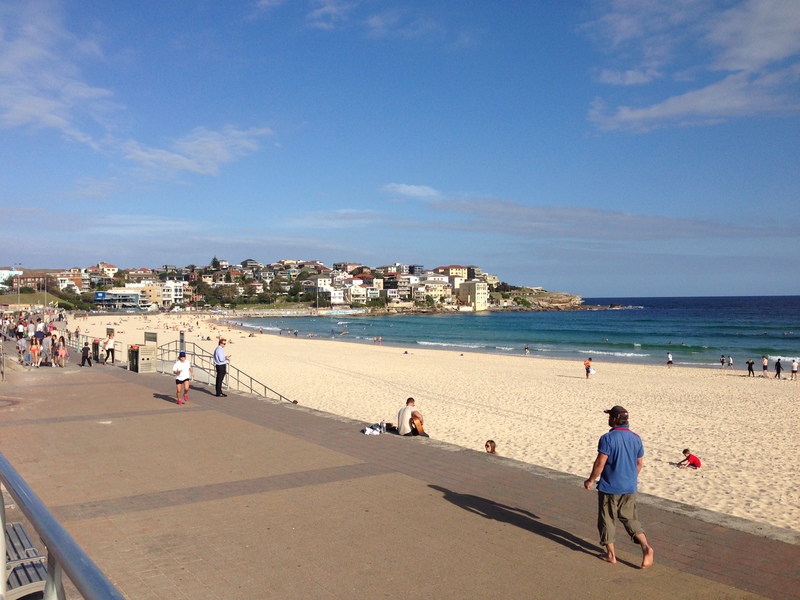 We had some amazing weather for the Can Too beach session this week. Just glorious. So good that I’m going to put the photos up first! What a day! Clear water, small rolling waves and sunshine!!! It was great to see such big smiles and people finally getting the idea of how glorious ocean swimming can be! I swam with the intermediate group and we were focussed on sighting and swimming straight. Definitely something I still struggle with and that can make such a big difference to a swim. For my personal hints and tips on this topic, I did write a two-parter post on this exact thing recently. You can find part one here and part 2 here. We finished up with an exercise that I think is really fun as well as a good for developing sighting skills. For this to really work, it’s best to have a board paddler and one of our amazing water safety volunteers (who are awesome, btw) took up the challenge. The point of the exercise is to swim towards the board. Sounds simple? Well it would be if the paddler didn’t keep moving around! It ends up being quite fun and feels a lot like being part of a school of fish as we zig and zag and collectively change direction in the water! I’m reasonably certain the paddlers have a bit of fun doing it too, herding the swimmers around in circles like sheep! It was a little chaotic…but isn’t that one of the joys of swimming in the ocean instead of the pool?? I’ve written here a couple of times before about goggles. They’re such a key piece of swimming kit, and a poorly fitting or fogged up pair can make swimming a miserable experience. In fact, my first ever proper post here was a general piece on goggles! I’ve also previously reviewed my favourite type of ocean swimming goggles, the Zoggs Predatorflex, but as you’ll have noticed I train in pools as well as the ocean, and I do find that my requirements are a bit different for those session. In the pool, I prefer something with only a slight or no tint, and I definitely don’t need the polarised lenses I use in the ocean. 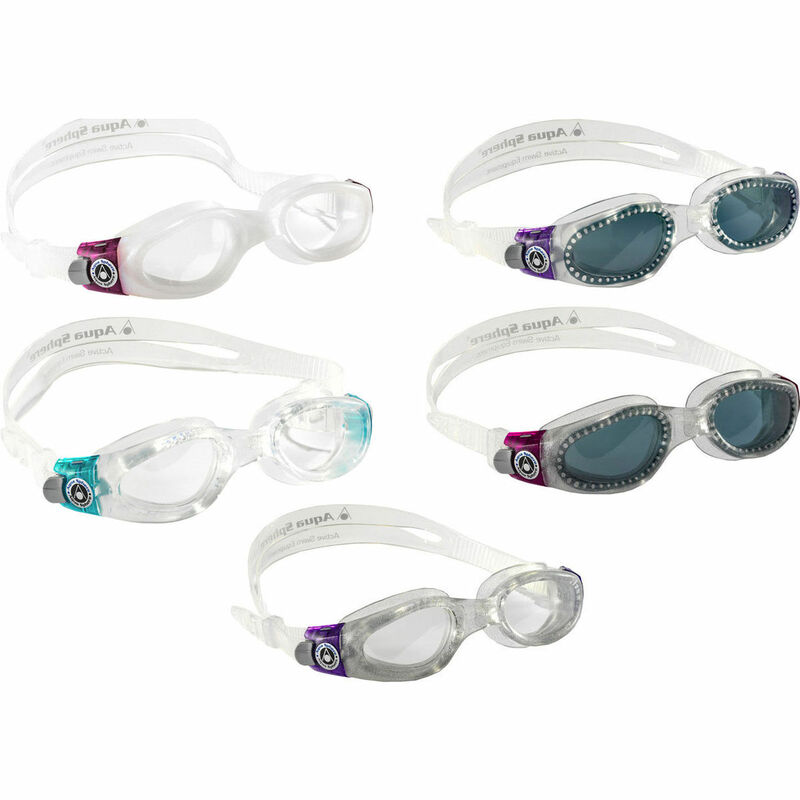 So my goggles of choice for my pool sessions are the Aquasphere Kaiman Goggles (not to be confused with the Aquasphere Kayenne – they’re quite different designs, believe it or not). These were the first goggles I bought after I first started this whole journey 2 years ago…d been swimming with some super-cheapo nasty leaking speedos that had been floating around my bathroom cupboards for years. It was pretty life-changing to suddenly put on some decent quality goggles and be able to see! No fiddling every 50 metres, clearing out fog, adjusting and ending up with stinging chlorine eyes! It was a whole new world. So what are the specifics here? These are specifically designed for women’s faces…narrower in general and less space across the bridge of the nose. There are a few goggles out there that claim this, but these are the only ones that seem to have nailed it. Anti-fog properties. I’d give them a 9 out of 10 for the first 15-20 swims, then a 7. As a comparison, the Zoggs predator flex get a 10 when they’re new, and a 9 after that. Most other goggles I’ve tried are a lot lower than that. Super comfortable. The silicone seals are very soft and don’t rub and don’t leave as much of a “panda-eyes” mark as some of the tougher ocean goggles. Durability. These last pretty well. I’ve had a couple of pairs and have sacrificed them to the sea gods before completely wearing them out. They do noticeably wear out over time, though, so if I had to guess I’d say I could probably get about a year of pool training out of them. Less if you’re wearing them in the ocean, and more if you swim less than me and/or look after them better than I do. Adjustability. These are like my Zoggs in that they have adjustable ratcheted straps with a release. Other options for goggles are the ones where you have to take them off and undo a complicated series of figure-8 type closures and then put them back together. That’s probably OK for pool swimming where you can set and forget, but I like to tighten my straps in big surf (god knows I lose enough goggles in the course of a year) and loosen them in the pool and it’s just so much easier if you can do it while they’re on your face. Good seals. These do a pretty good job of not leaking, Probably best out of every goggle I’ve tried. Like I said, though, they do degrade a bit over time, and this is one of the first signs that has started happening. Reasonably priced. Even full price from Wiggle, they’re $22.22. At the moment they have a special on the tinted version at $13.95 a pair plus postage (worth bulk buying with friends until you get enough for free postage…or you could be like me who usually has enough kit in their basket on their own). If you’re in a hurry and can’t wait for postal orders, Rebel sports stocks them for around $40 a pair. So there you go…my choice of pool swimming goggles. As always, different people have different preferences and different shaped faces, so goggle choice is personal and you may need to try a few until you find what you like, but in my opinion these are a pretty good place to start. This week I did the early Saturday 4SEASons session before Can Too. It was every bit as gorgeous as Friday night with the sun shining and the gentle waves. Gorgeous morning for a point to point!! I did a bit of an abridged course so I could finish a bit early and be up at the surf club for when the Can Too crew arrived. It was a pretty quick and straightforward swim, nice to stretch out. Interesting to compare it to the last point to point and see how much easier it is to swim a straight(er) course when the waves are smaller. Still not as straight as I’d like…guess there’s always room for improvement! Seems the question of watches for swimming is a bit of a hot topic in the swimming world lately. I’ve seen multiple facebook threads about it, and had some questions on Twitter recently. I’m a bit of a gadget tragic, so it was bound to happen sooner or later that I’d jump on the bandwagon. I went through a bit of process of research before I bought a swim watch, and realised there are really a few different categories of options for what you can look at. I thought I’d share my criteria, my thought processes and my decision here as a start. The jury is still out on what I ended up with, so I’ll follow up soon with a review. The first style you can go with is an all-purpose waterproof sports watch. The advantages here are that these have been around for ages, and there are heaps of different styles to choose from at a pretty low price point. They generally have a stopwatch so you can independently check your race times (and know what they are before the results are published). Depending on how fancy your watch is, it may also have some internal memory to help with recording laps and reviewing them later. At the really fancy end of the range, you can connect these with a computer to review the data (and help with things like pacing). Coach Zoe’s analysis of her pacing progress was done on one of these…a Timex if I’m not mistaken. Next is a purpose-specific swim watch. These are fairly new to the market and there’s pretty much only 2 brands I’m aware of in this market – Garmin and Swimovate. They have some pretty nifty features like being able to tell what stroke you’re doing, counting your laps, and calculating your stroke rate and swimming efficiency. Pretty awesome for pool swimmers and for ocean swimmers if they’re doing pool sessions. The third category is to go with something with GPS so you can map your swim, see how far you swam, how straight you swam, and what pace at different points in the swim. There’s nothing swimming specific out there that does the GPS tracking, so you end up having to repurpose a run watch (important note – must be waterproof!). The trade-off is that these are really not set up for lap timing, so that makes them pretty useless in the pool unless you’re straight up using it as a stopwatch to time something like a time trial. Again, Garmin seems to be the big market leader in this space, but a few other brands seem to be catching up fast. The big daddy of them all is the Triathlon watch. These will look after your lap timing needs and have a GPS, and are also useful if you ride a bike. There are only two real problems with this type of watch – The price is usually substantially more than what you’ll pay for any of the previous options, and the devices themselves tend to be pretty massive. The size isn’t much of a problem when you’re training and racing, but they look a bit full-on and are quite heavy compared with a regular watch. So what did I go with? I went with the Garmin Forerunner 10, the Garmin entry level running watch which is waterproof to 50m. I got it on sale, but even full price it’s still very reasonable at around $US129. The reasoning was that at this point in the year I’m more interested in tracking my races than my training, and at the price I paid I could afford to buy this plus a dedicated swim watch for less than the cost of a Tri watch. So what do I think of it? Well, let’s just say it hasn’t been entirely smooth sailing. You can watch this space for a full review soon. Sooo…I may need to slightly revise the number of pairs of swim costumes I own. **Disclaimer…I have not affiliation or dodgy deals or anything with Funkita. I just Like ’em! Woo Hoo! Finally some sunshine!! Yep, the weather finally decided to behave itself and shine some light on our Can Too Heroes. It was another great swim session. Our main set was “pyramids”, increasing distance by 50m up to a max, and then decreasing back down again. Slowly increasing the distance swum and endurance for all the swimmers. It’s really amazing to see people starting to improve and gain confidence and starting to see them blossom into ocean swimmers! We had a few firsts this week, too! First fundraising stars! Well done to Chad (Ronene’s brother, who I’m so proud of for doing soooo well! ), and John on an amazing effort getting their fundraising out of the way so early! Now they can give all their focus to the swimming side of the challenge! First guest speaker…an amazingly positive and motivating cancer survivor, who astounded us with his great attitude, reminded us why we are doing this, and inspired us with his resilience in the face of adversity. First nice day for training! Next week will be a good one…time trials and our first pub night! Can’t wait to have a chat and get to know a few more people socially! Time trials this week again. They seem to come around so quickly! I’ve done the work. I’ve been training hard and training consistently. I’m feeling good in the water, fit, strong and confident. I didn’t have too much time to think myself out of it…I was on two day’s work training and went straight to the time trial. No time to get nervous and psych myself out. Last TT was a bit of a disaster as I was still recovering from a nasty neck crick (technical term!) which hindered my training and my technique. I was unlikely to swim that slow again, so I had nothing to lose. Definitely not as bad as last time…..
and 5 seconds quicker than the time before!! Consistency really is key. Training Works. No magic solutions, no secret arcane knowledge, just straight up hard work.